Our lunch consists of three courses: a starter, a main dish and coffee for €16,90. Thai Noodle Soups « as much as you want » €18,50. Duck, roast pork, beef or chicken generously served on a bowl of authentic Thai Noodle Soup, straight from a Bangkok street corner! In addition to a choice of meat, we offer you two different broths – including the famous Tom Yam – and of course, plenty of condiments and seasoning. 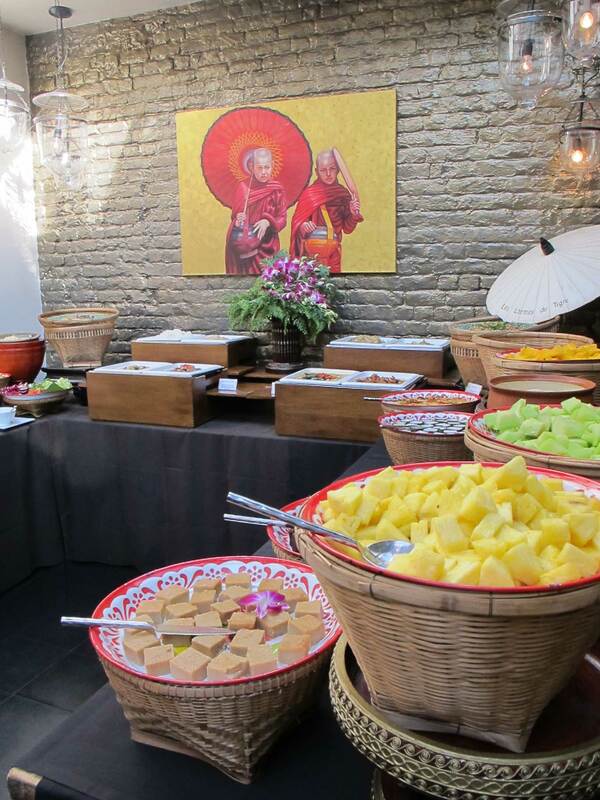 On Sunday, midday and evening, we offer a Thai buffet for €38 – a feast for your eyes and your taste buds. You’ll find it impossible to resist trying all these dishes prepared by our cooks under my watchful eye. The midday buffet is served until 15:00.